Manchester: Pep Guardiola has assembled one of the finest midfields in European football at Manchester City but striker Sergio Aguero delivered a reminder on Sunday that without the finishing touch he provides, all that class would be in vain. The deadly Argentine scored all three goals in City’s 3-1 Premier League win over Arsenal, to take his total for this season, in all competitions, to 20. The 30-year-old’s goals were all from close-range, proving once again he is the master poacher. “He was born with that talent, he will die with that talent,” said Guardiola, after the victory that brought his second-placed side within two points of leaders Liverpool, who are at West Ham United on Monday. Aguero’s goals came via a stooping header, a tap-in and his third goal, sliding in with the ball accidentally going in off his arm. 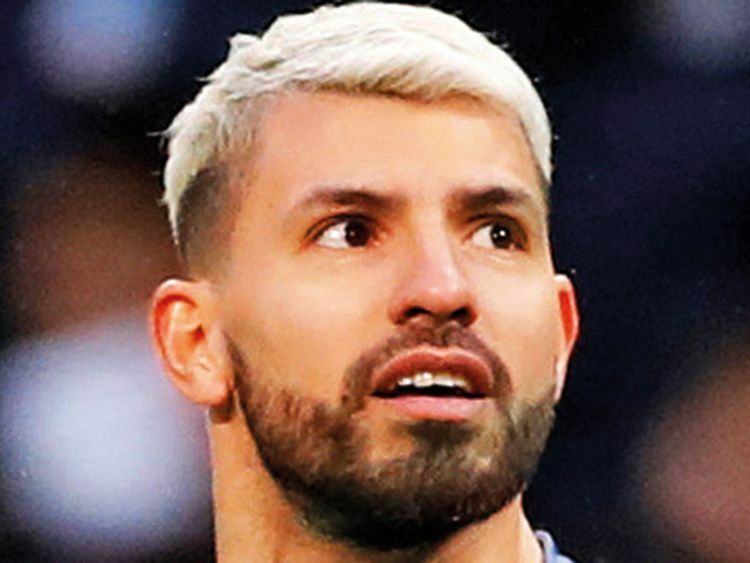 But there is another side to Aguero’s game which often gets overlooked — at Guardiola’s behest he has added the willingness to track back and take on pressing duties. Ally that work-rate with his sharp instincts in the box, the impeccable timing of his runs and the way he can hit the target without even needing to glance up and he is the perfect modern forward. There were suggestions early in Guardiola’s time at City that he did not feel Aguero fitted into his plans but the Spaniard said he has always appreciated his goalscorer. “From the beginning, I was very pleased. In the first season, people said I didn’t like him but always I was delighted,” he said. “I am honest, sometimes I played Gabriel (Jesus) or Raheem as striker. Today he fought and did everything for the team. I judge the intention. The intention from Sergio was always perfect since we’ve been together,” Guardiola added. It is the sixth straight season that Aguero, City’s record scorer, has passed the 20-goal mark and only once in the past 12 seasons with City and Atletico Madrid has he failed to reach that milestone. And while Guardiola has Brazilian Gabriel Jesus as an alternative, there is no doubt that Aguero, who has won three Premier League titles with City, is the number one forward and the man they are looking to as they seek to defend their title. When Aguero was replaced by Jesus nine minutes from the end, the Etihad crowd rose to show their appreciation. As City continue to fight for the Champions League and domestic titles, those supporters know Aguero could prove to be the difference maker.